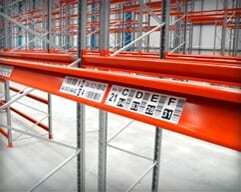 As specialist manufacturers of warehouse barcode labels, ASG Services have developed shelf labels to be hard wearing, yet small enough to be applied to industrial and retail shelf edges. 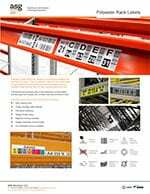 Polyester is the recommended material for performance shelf labels, the same as we use in our renowned rack location labels. 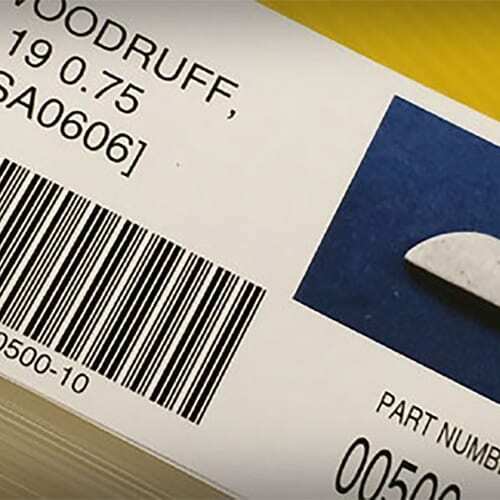 Durability and scan verification’s are notoriously good when using polyester. All of ASG Services products are designed to meet the needs and requirements of our customer, making each one distinctive from the next. Due to the size shelf tags must be, the design and layouts are limited, however our production department come up with some unique designs and often achieve the unexpected. Using mono and full color high definition print, our products are of high performance and durability. 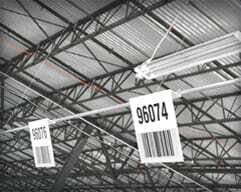 Shelf tags, inserts and other label types may contain barcode, alpha, numeric and alphanumeric combinations, thanks in part to our specialist software which is capable of handling mass variable data through multi field designs. 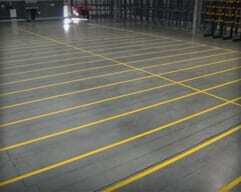 Layouts can be altered to suit the customer. 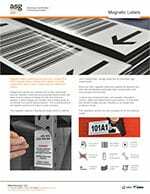 ASG Services invest in the latest production technology to produce the highest definition barcodes available, with mono and full color print capabilities. In addition, we are also able to produce extremely cost effective products using thermal transfer technology which is familiar to many. Along with polyester material used in for production, we also offer vinyl as a low cost option. 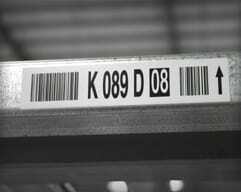 Polyester is a much more stable material which means the barcode will not distort over time. Laminate coatings can be applied, further improving their performance and durability, but for the ultimate durability, many customers like ASG Services plastic shelf tags. 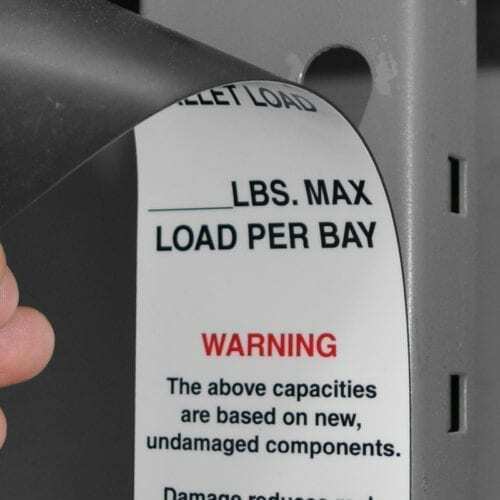 Plastic shelf tags are a composite construction, designed to withstand high impacts and abrasion. 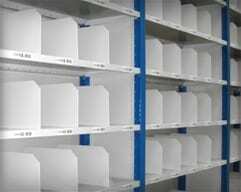 They are particularly suitable for shelf location ID as carts and trolleys are often banged against shelf edges during picking. 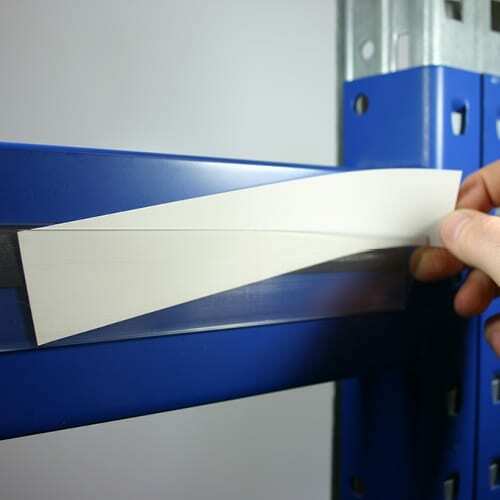 Shelf edge labels are supplied as either singles or on rolls, often the choice is down to preference during installation. Rolls are very good for safe and secure storage. Plastic tags are only available in singles. 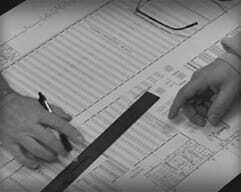 Customers ordering without installation services should consider the management of the application process carefully to avoid costly errors and missing product. 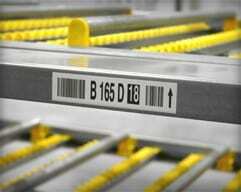 Our fully managed labeling installations are among the largest in the world. 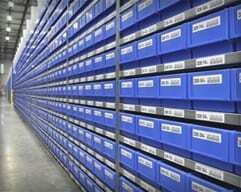 Our largest so far has been 670,000 shelf tags in one facility. 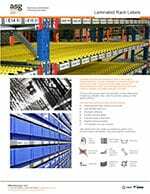 This took considerable planning and thorough quality checks during the process, however the installation and project was a resounding success and the site is a repeat customer of ASG Services. 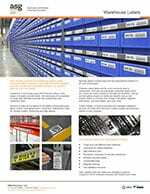 Read more about our storage location data management and warehouse label designs. We are happy to talk, regardless of the stage you're at in your process. Just want questions answering? Email us and we'll help you along the way. 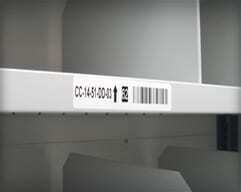 The most reusable warehouse tag available is a magnetic rack label. 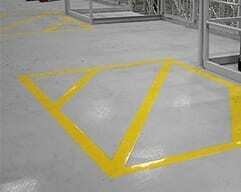 They can be applied at almost any temperature, removed without mess or scraping, be reapplied without peeling and makes your location numbering system as dynamic as the rest of your operation.